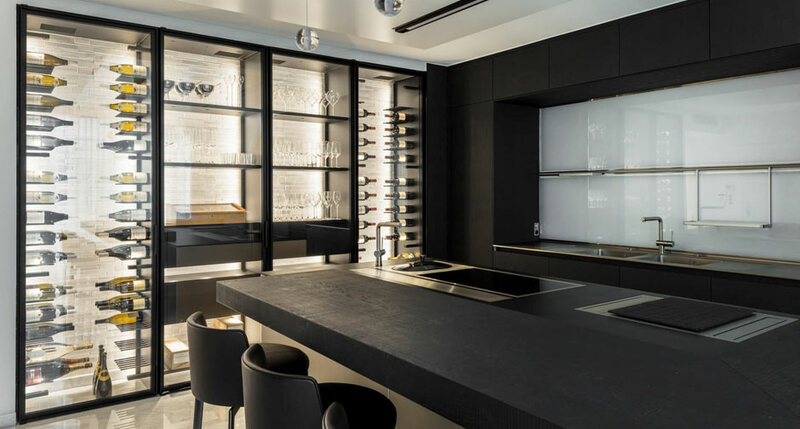 For this modern penthouse duplex on the Belgian coast, the client wanted to build in an attractive, functional wine cabinet to cover an entire wall of his new kitchen. 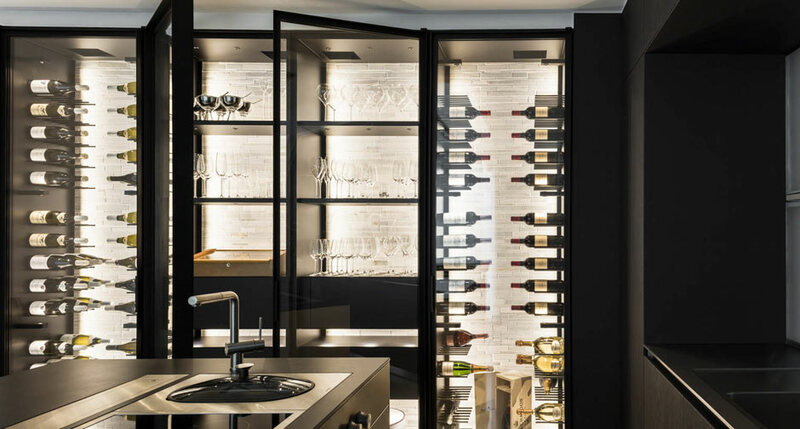 More than just a storage space for bottles and accessories, the cabinet forms the focal point of the kitchen, its lighting and materials contributing to the overall atmosphere of the room. 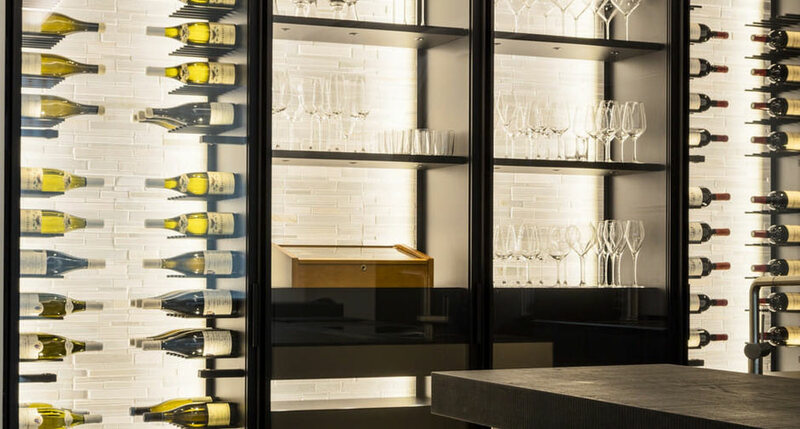 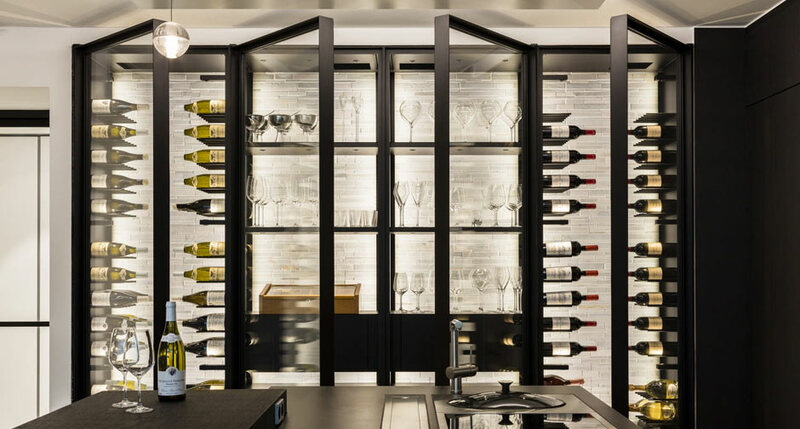 A combined cabinet, with Gravity display units for bottles, storage drawers, shelves with integrated lighting for displaying crystal glassware and even a cigar humidor. 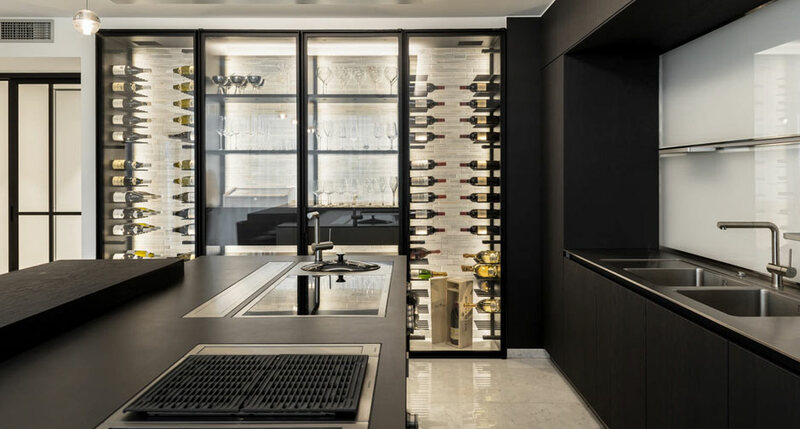 Four wide drawn steel doors provide an airtight seal for the cabinet, which is, of course, air-conditioned by our invisible, silent ClimaCellar system, which is essential for a living space such as this one.